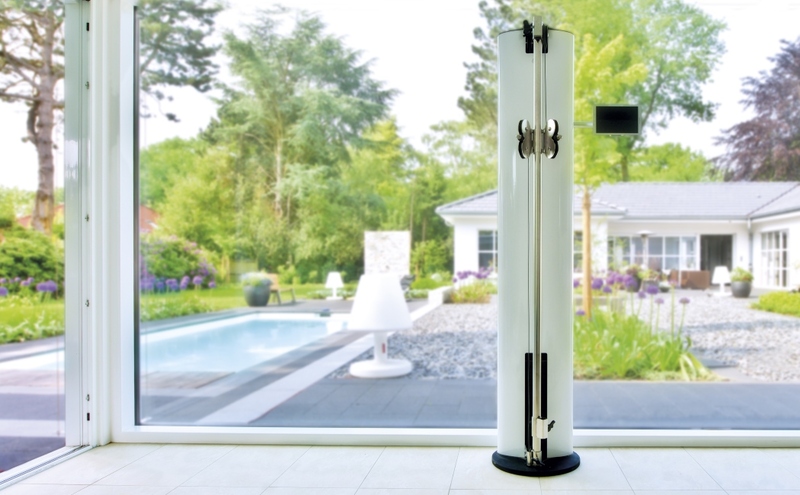 With a very minimal footprint, the white NOHrD Slim Beam cuts a stylish and sleek figure. 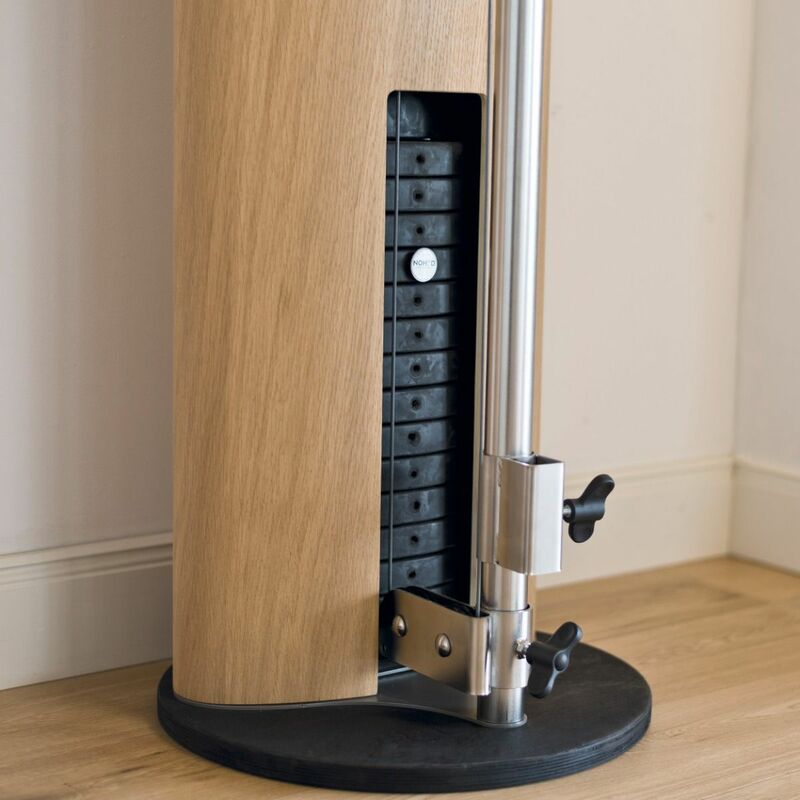 A fully adjustable single pulley system, you get a selectorised 75kg weight stack with 5kg plates. 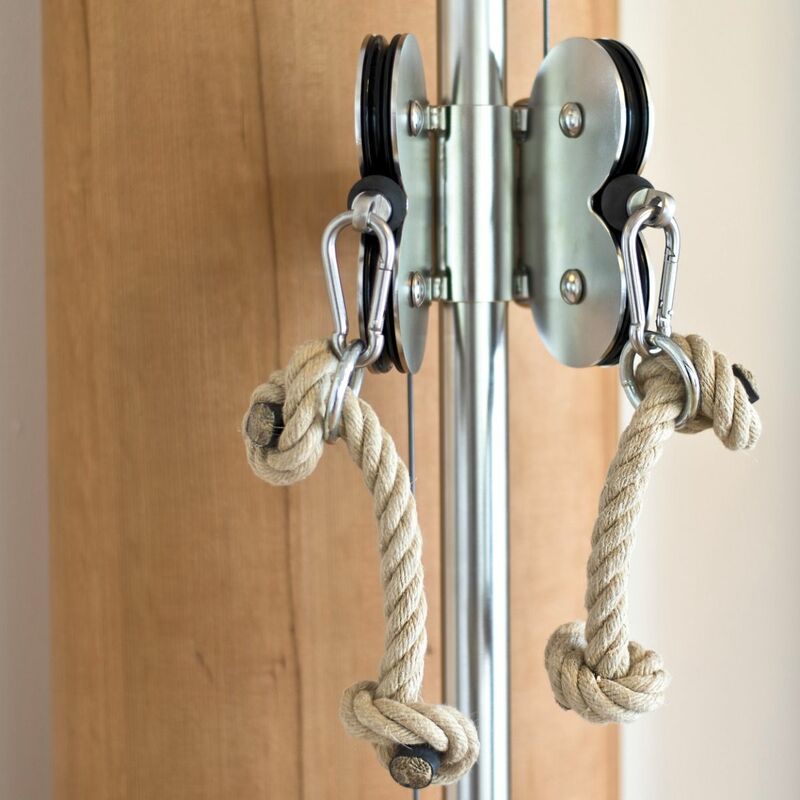 Developed for apartments, gyms or studios that may have a limited area for gym equipment, or just want slender, soft design for what is a functional piece of gym equipment. With 75kg (in 5kg divisions) available for the height adjustable pulley, that's sufficient for most users. You can attach to a solid wall and then use for a range of strength and functional exercises. Taking up less than a ¼ square metre of space and with over 50 exercises possible, it's a superb option for many. * Please Contact Us For Lead Times as it can be up to 6 weeks. Why Buy The Slim Beam in White? If you're into your design or have a clean, white theme in your apartment or studio, then the white NOHrD Slim Beam provides you with an unobtrusive design and functional statement of intent. NOHrD have redesigned the single pulley machine and done a fine job. As a cable machine you can also use for some biomechanic exercises for golf, tennis or swimming for example. Whether you need to work out your legs, core, upper or lower back or arms, the versatility is awesome. The cable ratio can be altered by exchanging the cable, 3:1, 2:1 and 1:1 to give you the full 75kg weight with the double extension and up to 4m cable length. This model has the white laminate finish to the main body which creates a stylish and contemporary finish. Undeneath is the sold ash wood frame and cable mechanism. 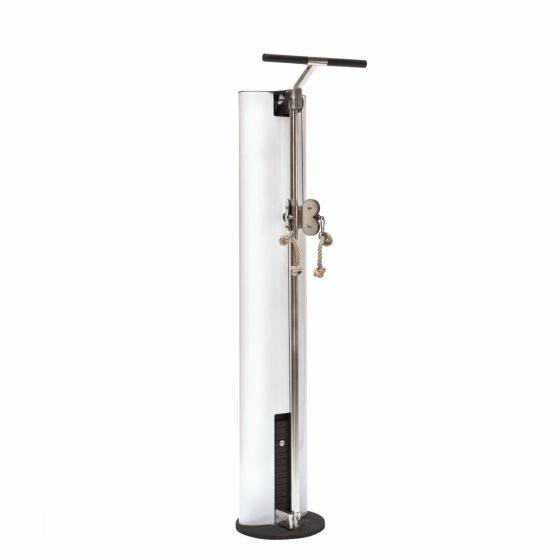 As a piece of gym equipment it looks amazing and is a definite talking point. NOHrD also manged to keep the depth to around 30cm, meaning it's not intrusive in a way that more traditional gym equipment can be. * Professional installation available on request. Attach the tablet holder to your SlimBeam and connect the USB and the free Android app allows you to access the NOHrD virtual training suite. Their interactive app offers information on pre-set weights, repetitions and a range of exercises and motion are automatically recognized and displayed clearly with explanantions. Single weight stack, 5kg increments up to 75kg total. Supplied with 3:1 cable ratio as standard. 2:1 and 1:1 cable ratio also available. Please specify on order.